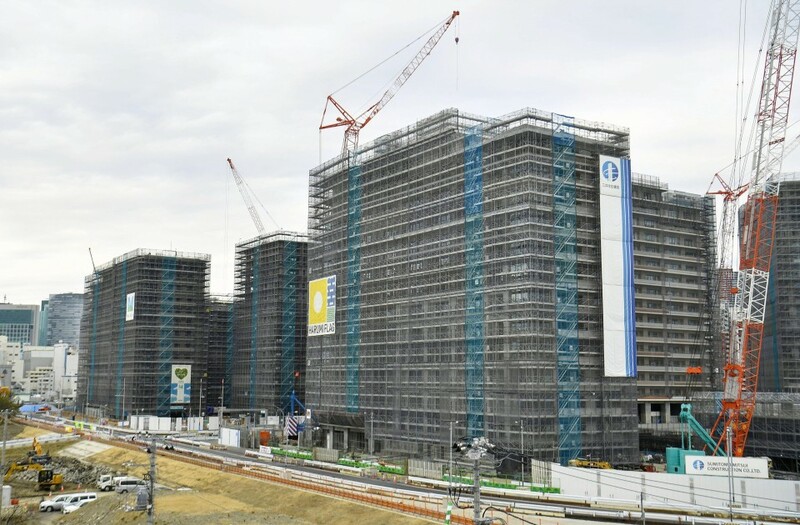 New facilities being built in the Tokyo Bay area ahead of the 2020 Olympics and Paralympics were shown to the media Tuesday, with the metropolitan government saying construction was on course. The Athletes' Village includes 21 buildings with 14 to 18 stories. The construction work is 70 percent complete and expected to end in spring next year. An artificial lane at the Kasai Canoe Slalom Center, which is 200 meters in length and has elevation difference of 4.5 meters, is expected to be set up in May. Work to construct its administration buildings has been delayed due to the bankruptcy of the contractor in charge. But a metropolitan government official stressed that test events will be held at the course in October as scheduled by using temporary facilities. 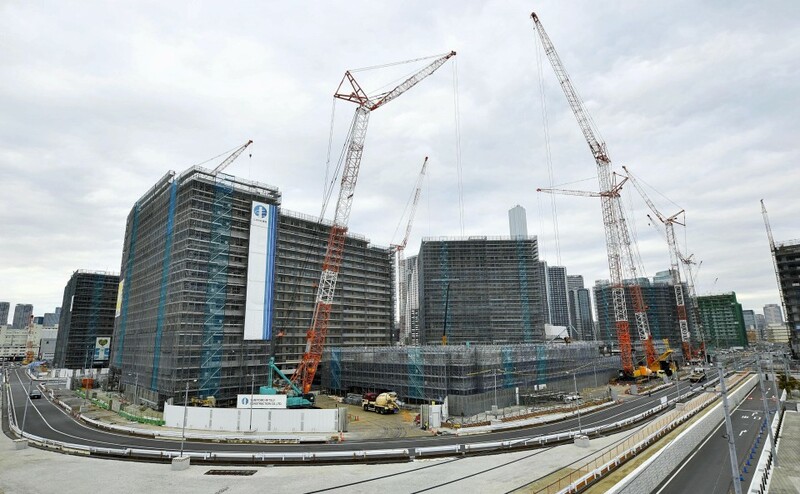 The Tokyo Aquatics Centre, which will host swimming, diving and synchronized swimming events, has already had its 7,000-ton roof raised, giving a rough idea of what the venue will look like. 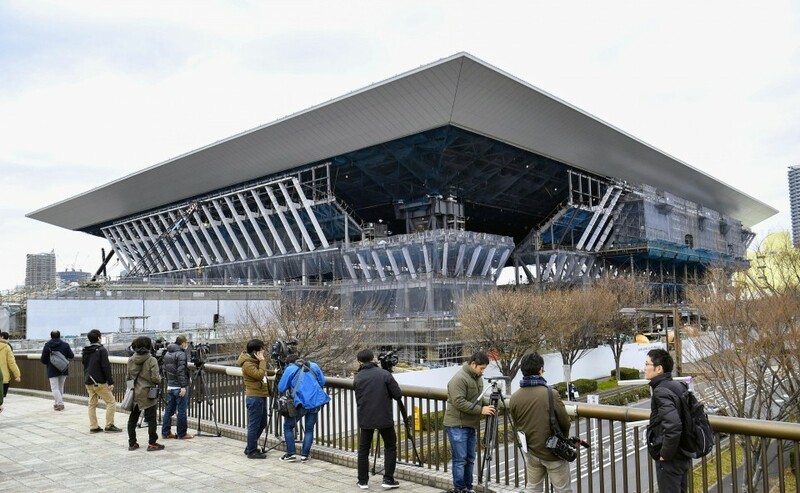 At the Ariake Gymnastic Centre, which will have one of the world's largest timber roofs, work continued to locate 70-meter joists that help form a characteristic arch roof on it.